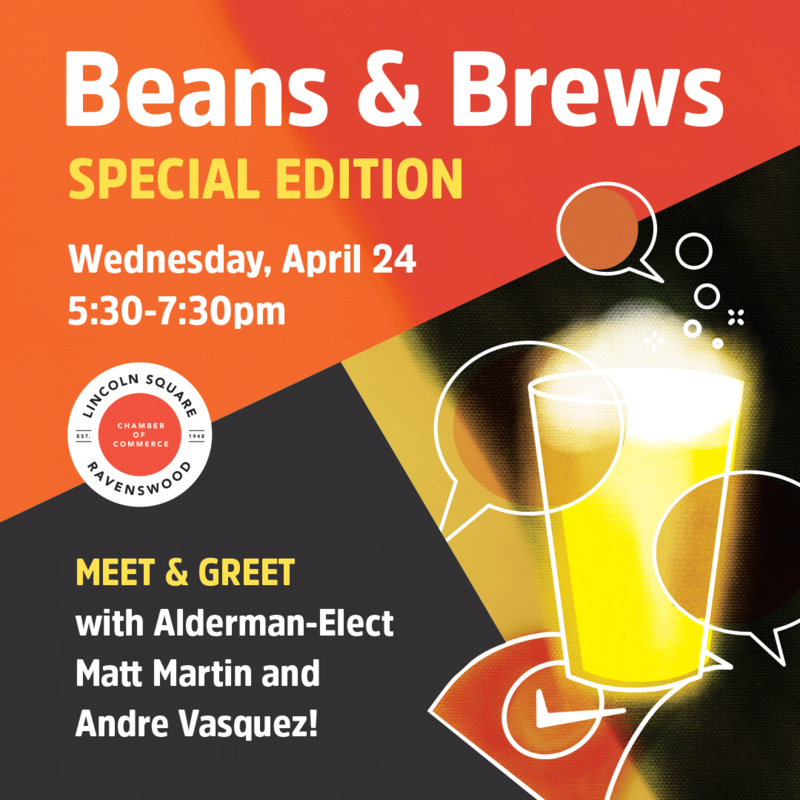 Meet your fellow business folks at our newest networking series – Beans & Brews! Each month the series takes us to a different business for a coffee or a brew, alternating back and forth between the two. Busy during the day? Come out for a Happy Hour! Busy at night? Join us for a cup of joe! At each meeting we’ll bring special guests to talk about issues important to you and your business. Grab your beverage of choice, and stay in the know! 47th Ward Alderman-Elect Matt Martin. Kick off this new networking event at Lincoln Square's newest breakfast spot!